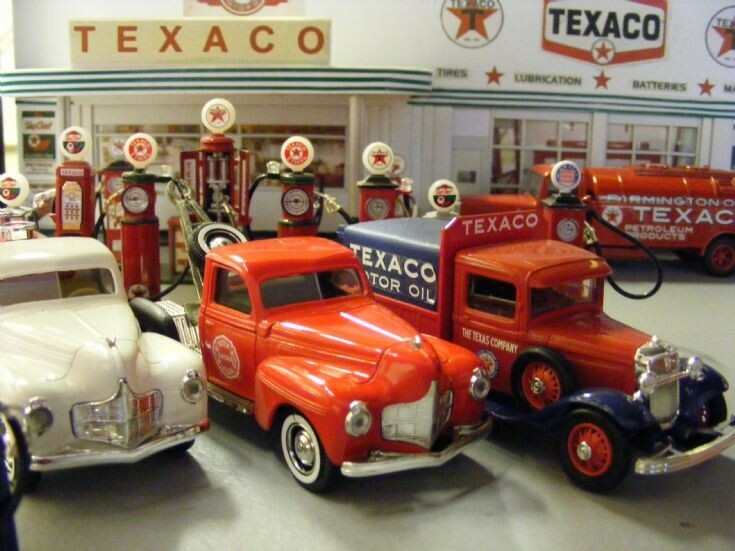 A near complete Diorama Display in my Museum Collection is this Petrol & Oil themed set. The back wall consists of two scratchbuilt Garage/Service Station displays one for Texaco and the other for ESSO. The original ideal came from the collection of City Models Fuel Pumps which have displayed around the edges of the Diorama.